KABUL, Afghanistan (CNN) -- NATO Supreme Allied Commander Gen. James Jones promised Afghan President Hamid Karzai at a news conference Saturday that a full investigation of an incident involving the unintended death of around 70 Afghan civilians would be launched. Karzai has already assembled a team to investigate reports of civilian casualties caused by NATO air operations in southern Afghanistan. On Thursday, Karzai issued a presidential decree to look into reports stemming from incidents in the Panjwayi and Pashmul districts of Kandahar province. The team is made up of tribal and community elders from various districts of Kandahar province. "The team has been asked to prepare a full and complete account of the incident and identify its causes and victims," Karzai said in a news release. "The team will investigate the reports of civilian casualties and damages inflicted in this operation. They will also present their suggestions to the president on how such unfortunate incidents could be prevented in the future." Also, NATO's International Security Assistance Force said it and the Afghan Defense Ministry are conducting a joint investigation into a Tuesday incident "in the Panjwayi district of Kandahar province, in which a number of civilians were killed along with a large number of insurgents." ISAF commander Gen. David Richards, speaking to reporters in Kabul Saturday, said "in the night in the fog of war, mistakes were made." ISAF has said they were "satisfied" that they "identified and targeted a group of insurgents," but said they were uncertain how many civilians were killed as a result but believes it to be about 70 individuals. ISAF said it has consulted local elders and other citizens "who have indicated that the great majority of those killed were Taliban." The International Committee of the Red Cross said Friday that civilians are being caught in the crossfire. "Aerial bombardment and ground offensives in populated rural areas, together with recent suicide attacks and roadside bombs in urban areas, have significantly increased the number of innocent civilians killed, injured or displaced," it said. It urged all parties to respect international humanitarian law and "to maintain a distinction between fighters and civilians at all times." It said the law "also requires the parties to exercise constant care in the conduct of military operations and prohibits attacks directed against civilians or civilian objects." The fighting in the south has been heavy this year with the resurgence of the Taliban militant movement and the expansion of ISAF in the southern provinces. There were reports of more deadly violence Friday in the south. Karim Rahimi, presidential spokesman, confirmed a report that 14 people in a vehicle were killed in a bombing near the Uruzgan provincial capital of Tarin Kowt. Among the victims were children and elderly. Karzai said he deplores the Taliban and their activities. Nevertheless, Karzai's spokesman confirmed a report that the president told reporters Friday he is willing to "talk and negotiate" with Taliban militants "for the sake of peace." 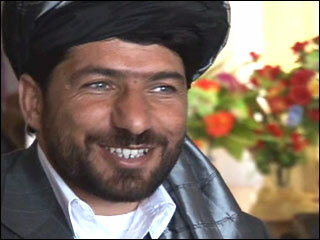 Rahimi said Karzai made similar remarks before. It is unclear whether such a gesture was simply an academic utterance, since the hostilities and hatred between the Taliban and the Afghan government are fierce. "Those people, if it is Mullah Mohammad Omar or others, if they want to talk and negotiate with us, they are welcome but they should first free themselves from foreign slavery and come to their own land and live in peace," Karzai is quoted as saying. "For the sake of peace in Afghanistan, we are ready to negotiate with them. We have always negotiated with their supporters and people who control them, and will do again." One of the others he was referring to is rebel commander Gulbeddin Hekmatyar. Karzai isn't offering amnesty, the news report said. And Karzai reportedly said if wanted militants return to Afghanistan, Afghans would be able to take legal action against them. Many of the militants are thought to be across the border in Pakistan. "If any one had any legal cases against them, they can do that," he reportedly said. NATO soldiers walk on a road outside Panjwayi in Afghanistan's southern Kandahar province.